Are blood oranges the fruit equivalent of the macaron (the darling of the cookie realm) or of cupcakes (which now outshine their fully-grown adult cake counterparts)? Blood oranges do seem to be a “hot” fruit of late. In this case, I do believe this is a warranted culinary fixation, given the glorious character of the blood orange. Blood oranges remind me of a trip to Sicily five years ago – before the latest food fad trend started. Everywhere we went, blood oranges and blood orange juice were abundant. In a small hotel in Lipari (one of the Aolian Islands off the “big island” of Sicily), there was even a big plastic rectangular orange juice server – the kind that cools and constantly aerates the juice and allows one to dispense it into a glass by depressing a lever. These contraptions are common in self-service breakfast rooms in cafeterias and motels in North America, but it was a bit jarring to find it in an old pensione in an ancient historic place like Lipari, releasing a torrent of bloody juice, at the touch of a button. The blood orange, if you have yet to try one (try it, you’ll like it – as the 1970s ad implored), has a depth and fullness of flavour. The saturated red colour of the orange’s flesh and resulting juice are shocking in their intensity. The bloody colour is so far removed from the pale yellows of lemons, the lime’s mild green-ness, or the bold brassiness of oranges. What is most fun is that the colour is so uncitrusy that a blood orange novice might expect the juice to taste like tomatoes, beets, or berries. It does not, of course, but the juice is quite distinct from Anita Bryant’s morning beverage of choice (“Breakfast without orange juice is like a day without sunshine.”) . For my first foray ever into marmalade production, I wanted to take advantage of the blood orange for its vibrant colour, complexity, and subtle tanginess. 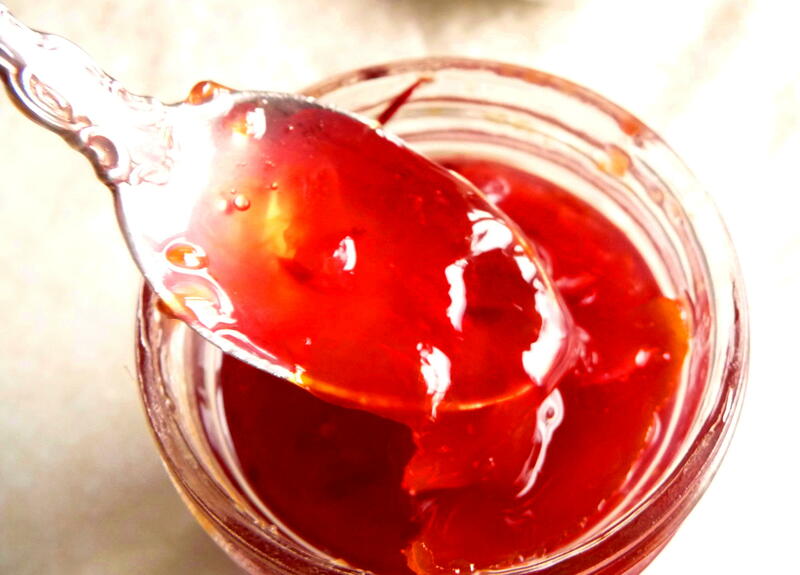 In this marmalade, the blood orange offers a slight but not bothersome bitterness. My variant included a few tangeloes to round out the orange requirement for the marmalade, as I was a few blood oranges short of a batch, to borrow from a popular phrase. And, on my island, finding a few spare blood oranges at a moment’s notice is a feat close to impossible. 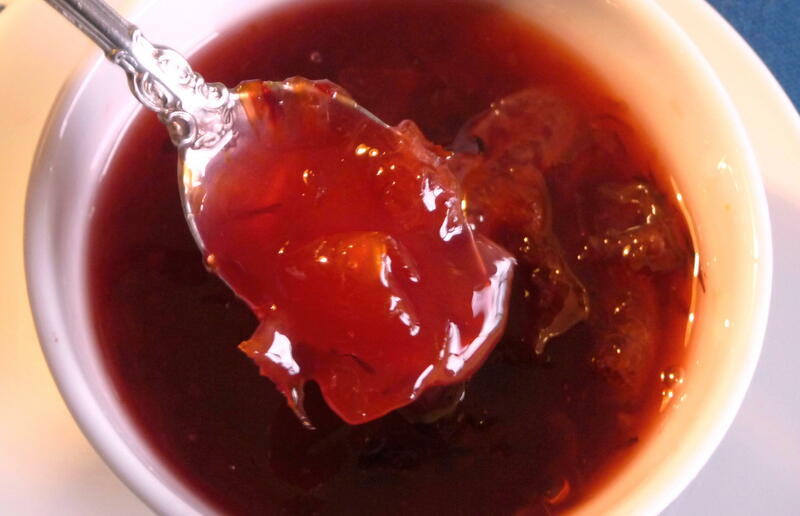 So, for a bloody good orange marmalade, try this recipe, and enjoy the ruby-red luxury for both the eyes and the palate. Once canned, it makes a treat for many months to follow. 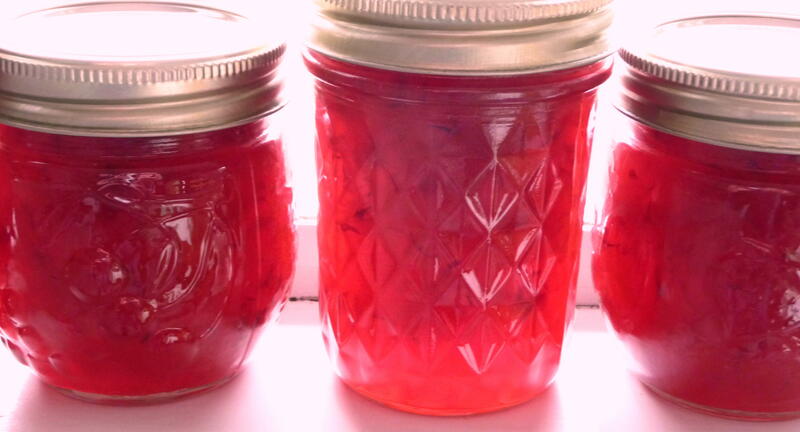 Sterilize your canning jars in your preferred manner (I prefer boiling them). Soak the peels in one cup of water for 10 minutes. Drain the water and discard it. In an eight-quart pan (I use a maslin for canning), combine the peels, with baking soda, orange juice, and ¾ cup of water. Bring to a boil over medium-high heat, simmer for 10 minutes stirring regularly. Add fruit, stir thoroughly, cover with lid, and cook for an additional 10 minutes. Remove lid. Add sugar and butter. Cook the mixture over medium heat, stirring until sugar is dissolved. Increase heat to medium-high again and bring to a full roiling boil. Add pectin and return to a full boil and stir constantly for one full minute. Remove from heat. Skim off any foam carefully. Allow the marmalade to rest for five minutes to prevent the dreaded floating fruit phenomenon. Stir gently at the end of its rest, and ladle into jars. Leave ¼ inch of headspace. Wipe the rims and threads of the jars with a paper towel or clean dish towel dipped into your sterilization water and apply lids and bands, until they are finger-tip tight. Put into water bath, which should be boiling, cover, and process for ten minutes. This entry was posted in Canning, Recipes Misc and tagged Blood oranges, Canning, Marmalade, Recipe. Bookmark the permalink. 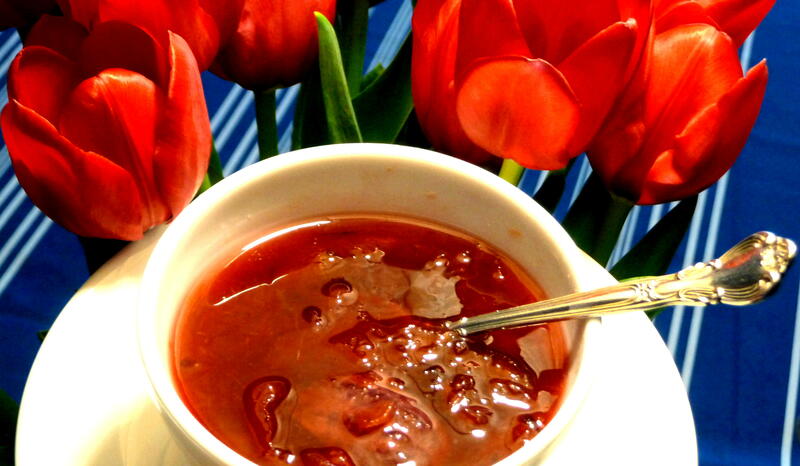 I love blood oranges in salad, but a blood orange marmalade sounds divine. Looks so pretty too. Thanks for your comment. It is both regal and divine! Do try it some day. Very nice! Loving how the colours match perfectly =) I’ve been meaning to blog about blood oranges for months now, but it’s the one post that never got made. Oh well, there’s always next year! Thanks, Mowie. 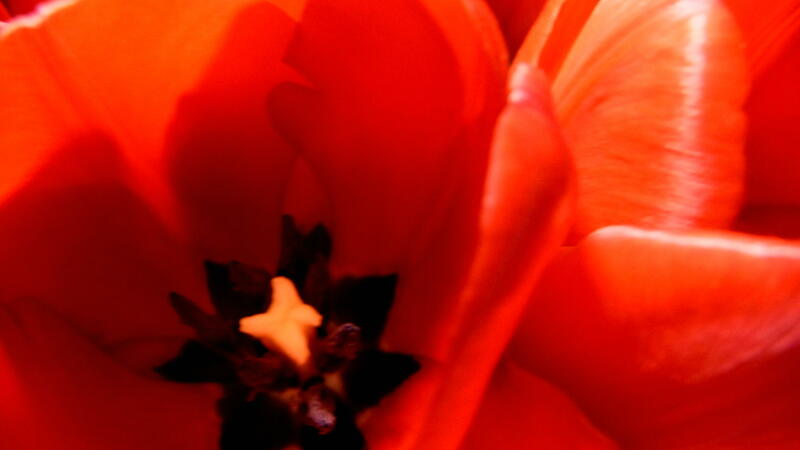 Your exquisite food and floral photography inspires me! Bonjour, Pierre. Merci bien, comme d’habitude, pour tes commentaires! J’espere que tout va bien chez toi a Paris (avril a Paris…. ).